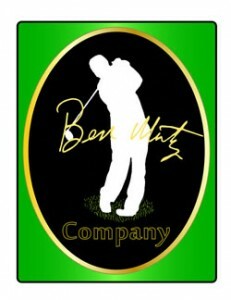 Whether you’re a beginner just starting to play golf, or a recreational golfer who wants to know more about golf, or a Pro Golfer who wants to become a Master of Distance Control in the Short Game, Ben Mutz can help. For the recreational golfer he encourages you to become a member of the “50 Yard and In Club”. From 50 yards and in you will learn to play these shots with a maximum of 3 strokes or better. The “50 Yard and In Club” covers Putting, Chipping and Pitching – The Scoring Shots of Golf. The Mutz Method Clinics and Teachings are different than what you have already experienced. His book “The Five Objectives of a Successful Golf Swing – One Dimple at a Time” teaches that the first four objectives are the mental routine of becoming obsessed with the PERFECT TARGET, knowing exactly the Distance you are from that PERFECT TARGET, picking out the exact PERFECT TARGET LINE you want the ball to travel down and lastly making your body square to that intended PERFECT TARGET LINE. For instance, in the Putting Game your weakness is in the second objective of Mastering Distance Control…..in other words you are trying to FEEL and develop a TOUCH for that objective and often times you fail on that end and then just GUESS which causes INDECISION. With that approach there truly is no learning going on because when you succeed you don’t know why and when you fail your don’t know why…..it is impossible to try and ever duplicate a Feeling or Touch – Make Sense? The Mutz Method Putting Method will change all of that indecision – guaranteed or you don’t pay for your instruction!